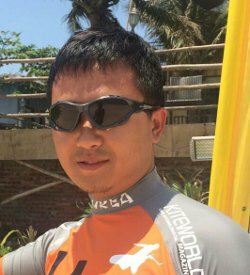 Kitesurf China is dedicated to providing the highest quality kiteboarding and kitesurfing lesson, aimed to help you achieve your goals whether it be flying your first kite, getting up on a kiteboard for the first time or moving on to more advanced techniques and tricks. 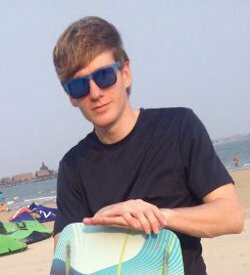 We are the only foreign owned and run IKO Certified Kiteboard School in China and provide lessons in English, German, French, Russian and Chinese. With latest CORE Kites and CORE Kiteboarding equipment for you to use we pride ourselves in teaching students on kites that work well for beginners and kites that they will actually continue to use after they have left our school. 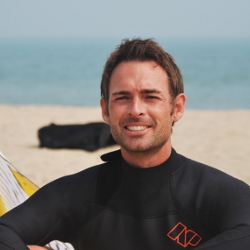 Our kitesurfing school is based in Boao on Hainan Island in the South of China, where we can teach in all wind directions and safe conditions. All lessons are in waist deep water, which makes our lessons unique and easy to learn kiteboarding with us. Our courses run all through the year, as Hainan Island does not get cold and we have wind 12 months of the year. If you are looking for a school based in China that can get you up on a board for the first time and controlling a kite with ease, then you have come to the right place. Kite Surf China is your partner in helping you achieve all of your Kiteboarding goals. 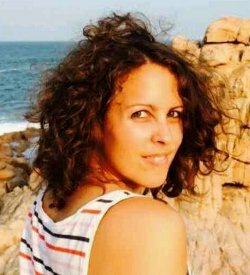 Come and join us for your first lesson or advanced course on China’s tropical Island. 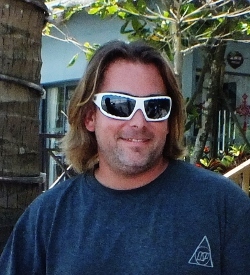 David also works for KTA as their Event Manager and Water Sports consultant. 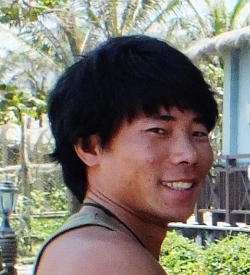 Li Peng is an IKO Instructor and has been Kiteboarding for 6 years. He loves teaching and sharing his passion for the sport with others. He also teaches Snowkiting during the winter in our Harbing location. Beat started kitesurfing in 1999, IKO Level 1 Insructor with a lot of experinces in kiting and equipement and he was for many years on the Swiss Kitesurf Tour. He traveled to many places and spots around the world and still searching for new kite destinations. Felix is an IKO Level 2 instructor and has been kiting for the last 3 years. Felix takes care of the day to day running of the company and makes sure all students get the best service possibly. Da Mao has been kiting for 3 years and is an IKO Instructor. He takes are of all of the school equipment and instructor assignments. When he is not working you will see him on the water every spare minute he has, enjoying his Core Riot XR3 Kite. Sebastian has been Kiteboarding for nearly 4 years now and Snowboarding much longer. 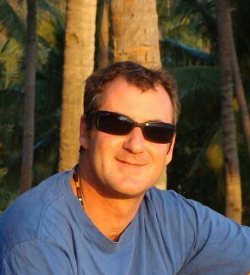 He is an IKO Level 1 Instructor and loves riding his CORE Kites around the world. If you meet Sebastian on the beach somewhere than feel free to try his range of CORE GTS3 Kites, his CORE Choice Board or his CORE Ripper Wave Board. You will see Grace walking around with her camera all day, shooting pictures of the daily life at Kitesurf China. She takes care of our social media and taking pictures for customers whilst they are kiting. She is currently also learning to kite. 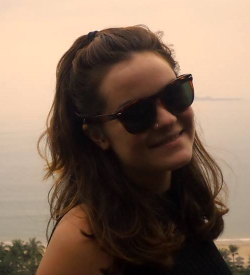 Lisa spends her days kiting and her evenings working on the marketing plan for Kitesurf China. She will either be teaching her students or looking for new students. Lisa also loves snowboarding and snowkiting.